Former House Speaker John Boehner, who resigned from Congress last October after 25 years representing Ohio’s 8th district, just got a new job. The 66-year-old is the newest member of lobbying firm Squire Patton Boggs, where he will serve as a “strategic adviser,” not a lobbyist. Not that the label matters much. When lawmakers leave the Capitol and move to K Street, they almost always call themselves “strategic advisers” or “consultants” as a way around a law that was supposed to prevent quick transitions from legislator to influence peddler. In his new role, Boehner will help Squire Patton Boggs “bring [their] services to clients around the world,” according to a statement. Those clients include Goldman Sachs, Royal Dutch Shell, and the People’s Republic of China. This is actually the second new job Boehner has landed in the past week. Last Thursday, the tobacco company Reynolds American Inc. added him to its board. 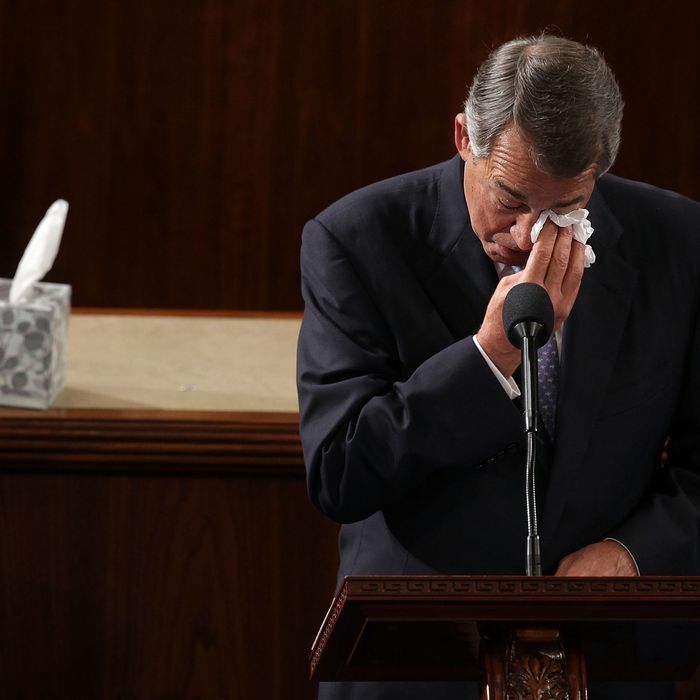 A heavy smoker who made his office so smelly that current Speaker Paul Ryan had to replace the carpet and upholstery, Boehner will now go to bat for the industry that he once helped by handing out bribes to Congressmen on the House floor. For his services, he will likely be paid $400,00 a year and, one can assume, all the Camel Ultra Lights his lungs can handle.